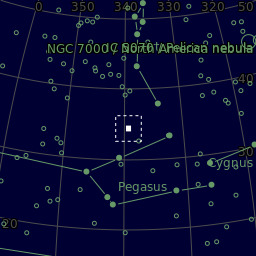 NGC7331 is a spiral galaxy in the constellation of Pegasus. At a distance of 50 million light years, it affords us a unique model to study our own galaxy's structure since it closely resembles our own in many ways...similar star to gas ratio, total mass, spiral arm structure, etc. It belongs to an optical grouping of several other, much more distant galaxies, beyond it. This group apparently was given this odd name by someone "in commemoration of one of the finest nights of viewing EVER, at Deer Lick Gap, just off the Blue Ridge Parkway, in the NC mountains" and the name stuck.